I photographed some new treasures in our yard and gardens over the weekend, as we continue to find more signs of this early spring we are having… and loving! 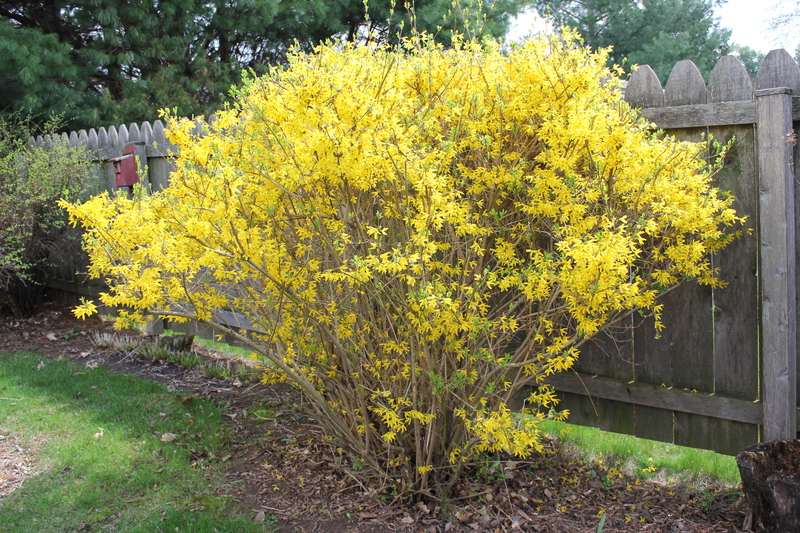 This week, our forsythia bloomed with an explosion of yellow. Every time I look out our windows that face South, I see this magnificent yellow glow. The buds on our magnolia shrub are about to open. They are so elegant looking at this stage. Our first tulip opened over the weekend. 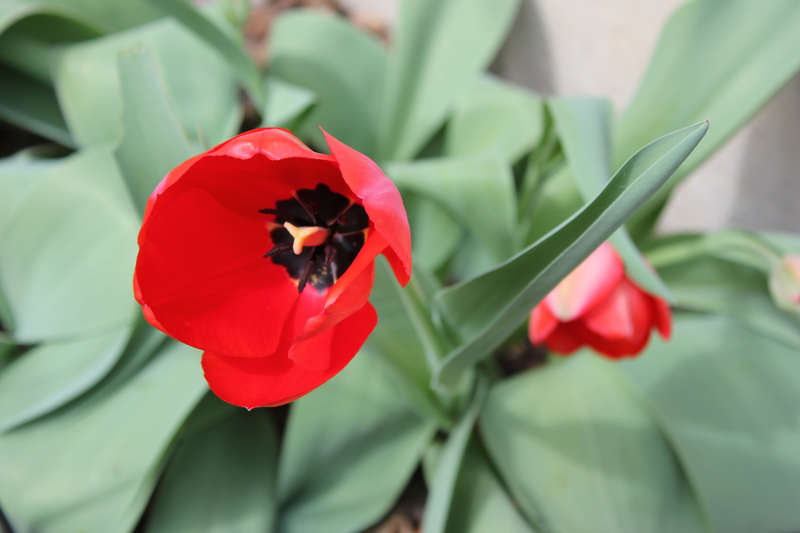 I am always surprised when this one opens because I forget that we planted such a classic red tulip. 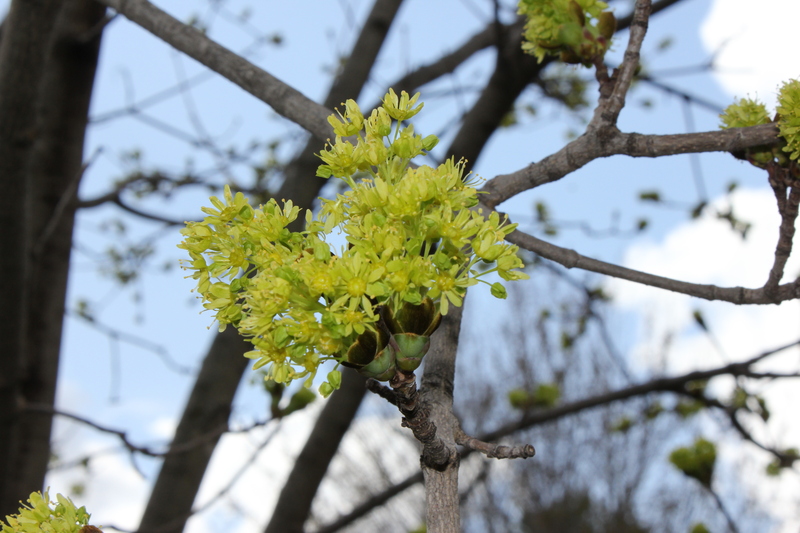 The buds on many of our trees are popping too, adding that fresh spring green color, which makes me so happy. Such an exciting time of year to watch the colors change from brown and grey to spring green and yellow and red and purple. Thanks for stopping by! Thanks Sara! All the hard work we put into our backyard is very rewarding cuz it’s our sanctuary. (and inspiration for me!) 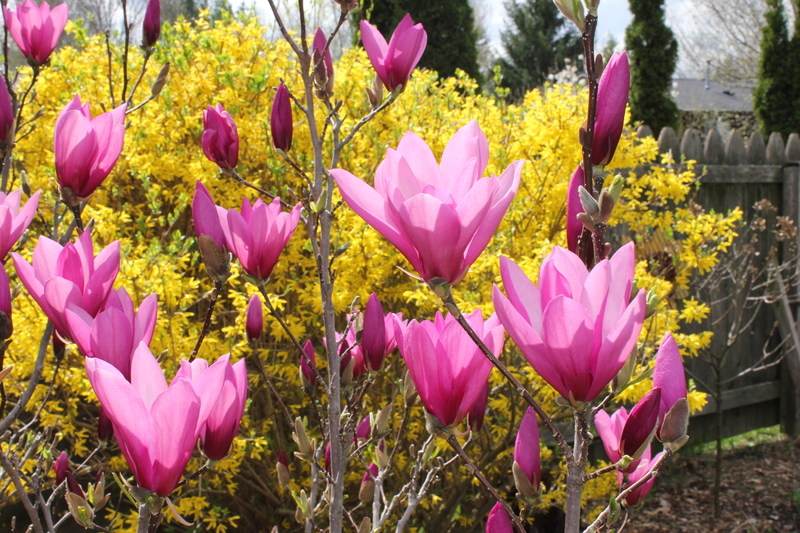 Those magnolias come in trees and shrubs. The trees usually bloom earlier than the shrubs. They are so beautiful, aren’t they! Thanks Vicki! 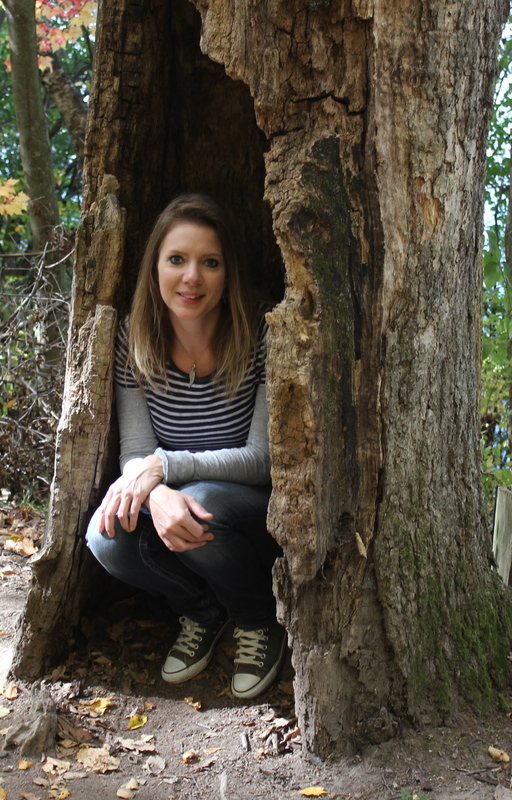 I’ve been having a lot of fun with my new camera now that there’s so much inspiration in our backyard again. I love forsythia, but no one has them out here in California. 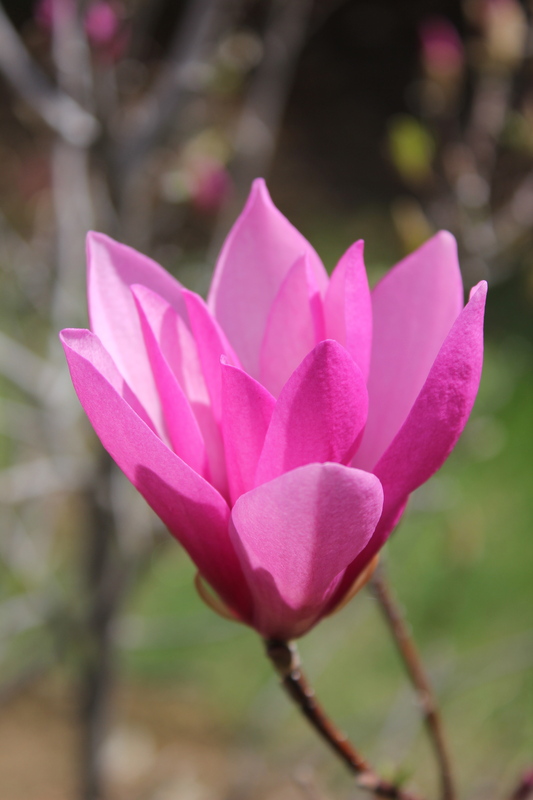 And I love magnolia as well — yours are a lovely shade of pink! Beautiful photos. I appreciate the spring theme since it has suddenly decided that it’s going to be winter here after all…. How wonderful! It’s nice to see all the blooms, ours are tending to survive, although they had a couple of inches of snow on them last week again! The wonders of nature never cease to amaze me, Enjoy your garden Terri. I am.